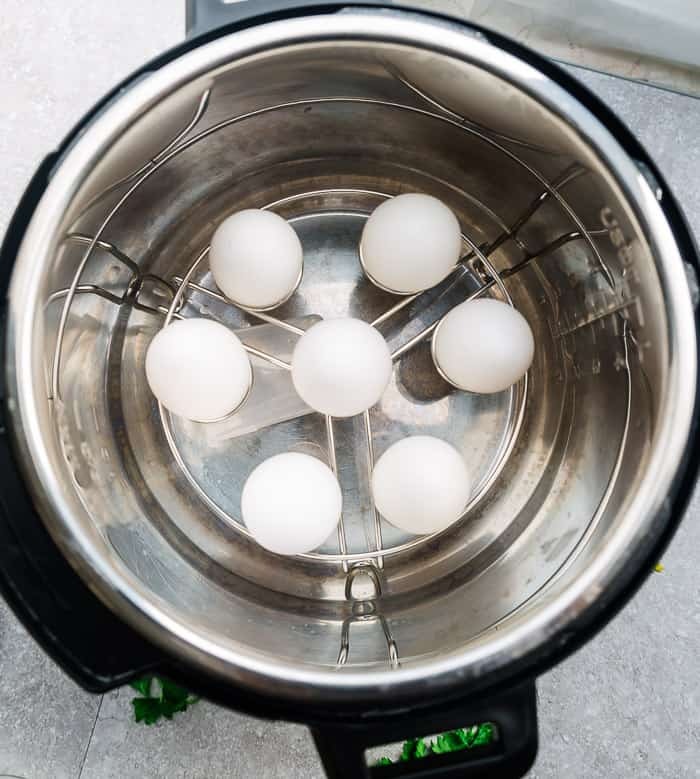 Instant Pot Eggs – Hard boiled and soft boiled eggs can be made in a pressure cooker or on a stove-top. 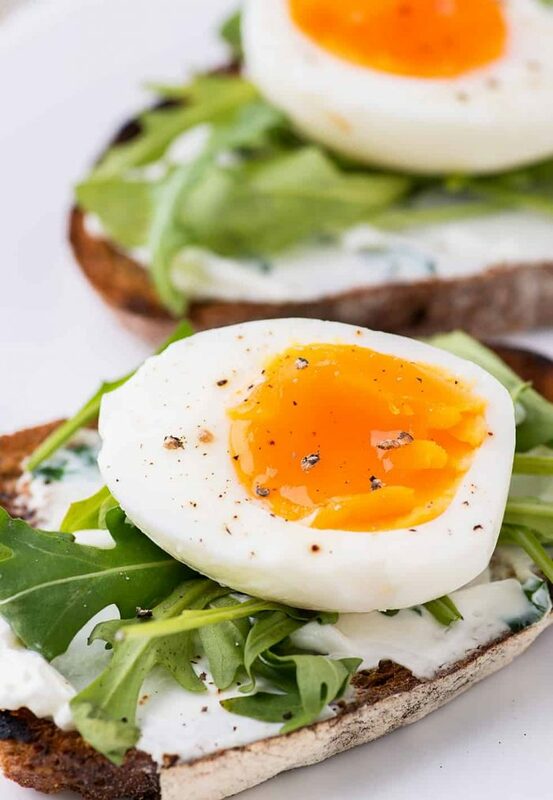 With this easy method, you will learn how to make perfectly cooked eggs using either method. Best of all, they are so easy to peel! Great for breakfast and Easter eggs! Eggs are a big favorite at our house. They are incredibly nutritious, low in calories and high in protein, folate, phosphorous, selenium and Vitamins, A B2, B5 and B12. 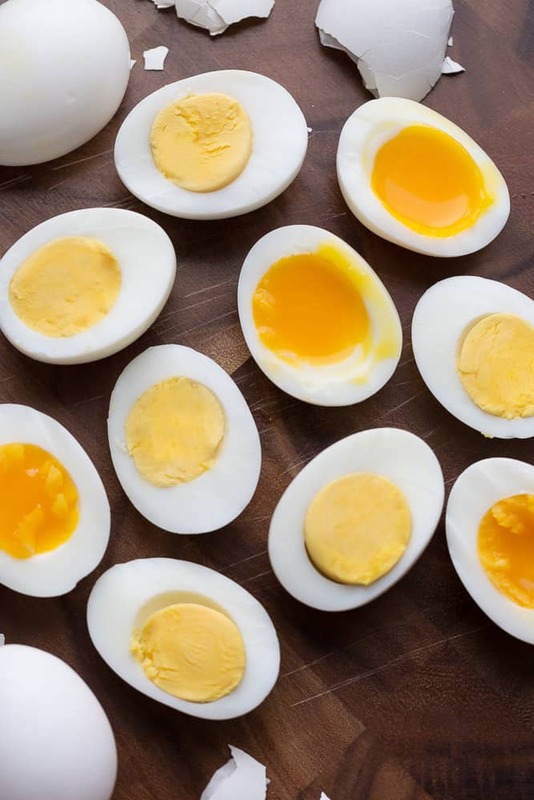 Now that I’m on a low-carb keto-friendly diet, I always have hard-boiled eggs on hand to keep me fueled throughout the day. They make a healthy paleo, ketogenic and whole 30 compliant snack for myself and our kids. Plus, they are super easy to make on the stove. But want to know my favorite way to make eggs? In our Instant Pot – seriously – life changing! 1. First, insert the steamer rack that came with your Instant Pot or this other handy steamer / egg rack I got from Amazon. Next, pour one cup of water into the bottom of the inner pot. 2. Close and lock the lid and turn the valve to sealing. 4. Immediately do a quick release by using a long spoon and push the valve to venting – allow all the steam to release. Carefully unlock and open the lid. 5. Immediately transfer eggs to a cold water bath until completely cool (I usually let mine sit for about 8-10 minutes). Gently crack eggs and peel from the bottom up. 6. 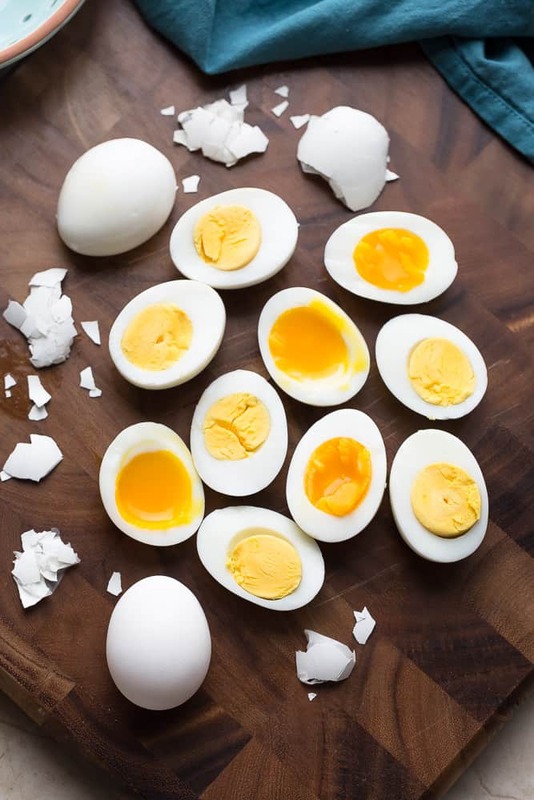 And that’s it – perfectly cooked and easy to peel eggs in the Instant Pot every time! In this case, the size of the egg matters. I used large eggs when I was testing the timing for these methods, so it’s important that you also use large eggs to ensure the same results. DO YOU USE FRESH OR AGED EGGS FOR HARD BOILING? W typically purchase our eggs from the local grocery store so that means they are at least a few weeks old. I find that grocery store (aged eggs) are usually much easier to peel when making Instant Pot eggs. WHAT ELSE DO YOU USE INSTANT POT EGGS FOR? Eat them for breakfast or any time you need a healthy protein-packed snack – particularly after a run or a high-intensity workout. 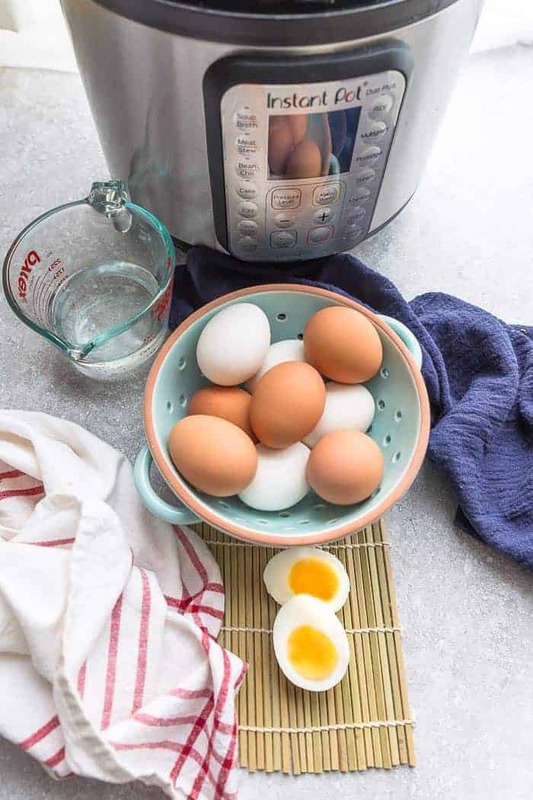 Instant Pot Eggs - Hard boiled and soft boiled eggs can be made in a pressure cooker or on a stove-top. 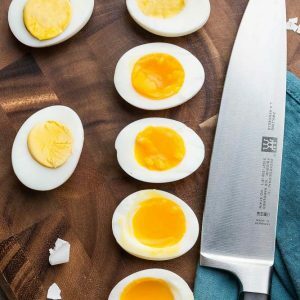 With this easy method, you will learn how to make perfectly cooked eggs. Insert a steamer rack in the inner pot of the Instant Pot. Pour water inside. Place the eggs on top of the steamer rack. Close and seal the lid. Switch valve to sealing. Immediately do a quick release by using a long spoon and push the valve to venting - allow all the steam to release. Carefully unlock and open the lid. 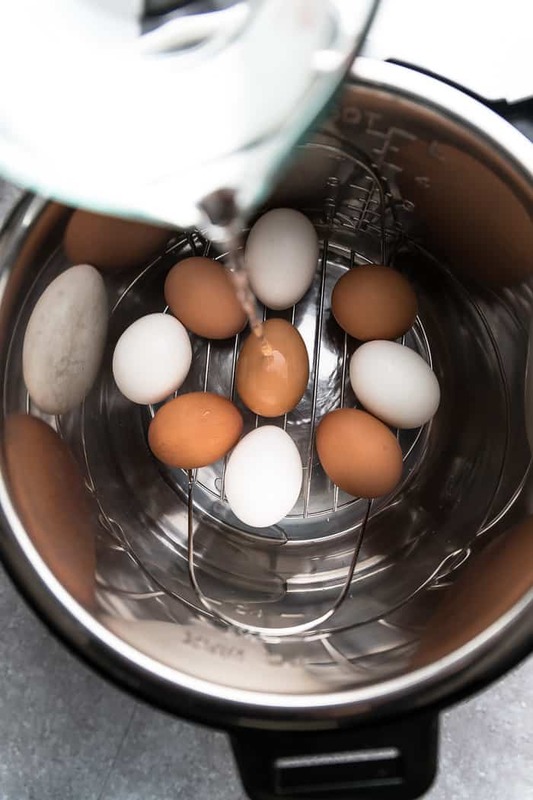 Using tongs, transfer eggs to a large bowl with ice cold water and keep running the cold water into the bowl until the water stays cool. Allow eggs to sit in the cold water until completely cool (I leave mine for about 8-10 minutes). 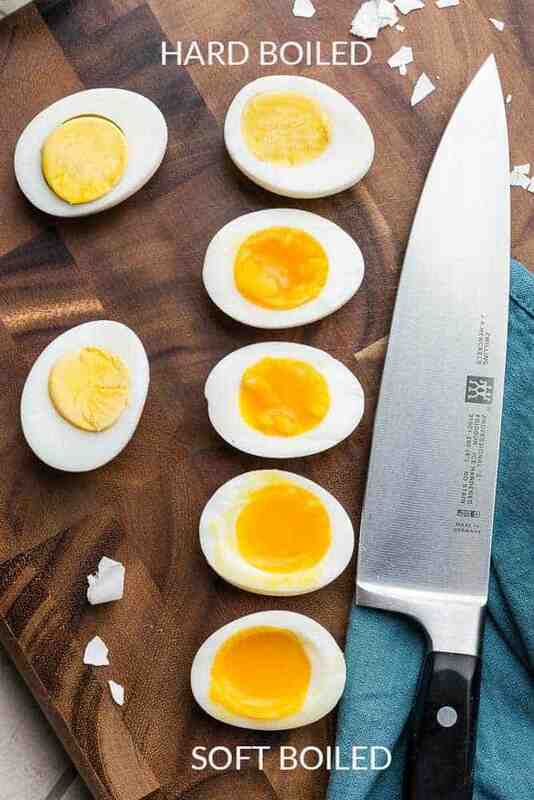 Once the eggs are cool, gently crack and peel. 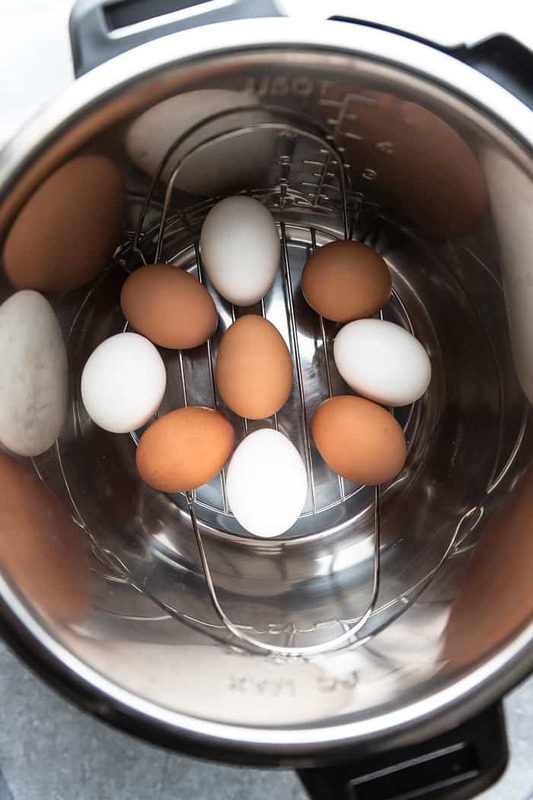 Place the eggs in a medium-large (depending on how many you make) pot and cover with cold water. Cover with lid and set the pot over high heat and bring the water to a rolling boil. Using tongs, transfer eggs to a large bowl with ice cold water and keep running the cold water into the bowl until the water stays cool. (Alternatively, you can also place the eggs in an icebath). Allow eggs to sit in the cold water until completely cool (I leave mine for about 8-10 minutes). Once the eggs are cool, gently crack and peel. *please note the size of your eggs will affect the cooking time. I used large eggs for all of these cooking times. It is also imperative to immediately transfer the cooked eggs to a bowl containing ice cold water in order to peel easily. I used large eggs for all of these cooking times. *please note the size of your eggs will affect the cooking time. I used large eggs for all of these cooking times. It is also imperative to immediately transfer the cooked eggs to a bowl containing ice cold water in order to peel easily. This is great, Kelly! I just got an IP and can’t wait to try this! I just tried the soft boiled 4 minute ones and they came out perfect! Thank you!